Israeli special forces tactical combat pants by Keela - officially used in the IDF. 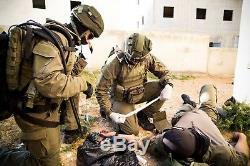 We are an the ONLY ISRAELI IDF UNIFORM SUPPLIER Of ORIGINAL KEELA UNIFORM IN THE WORLD. 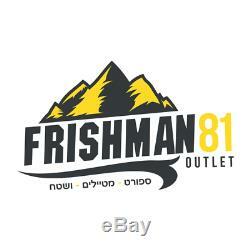 Our Company (Frishman81) Is The Main Supplier Of Israeli Defense Force AKA IDF And All Special Forces In The Israeli. 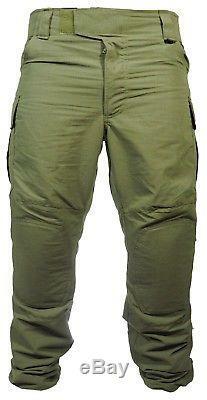 The combat pants (combat uniform) is perfect for active duty soldiers/officers and reserve personnel. Also this combat pants can be used for hunting, airsoft, police duty and more. This unifrom is sewed by Keela according to the requirements of the. This tactical combat pants are an integral part of the new combat uniform of IDF special forces. The pants are made of abrasion resistant material 50/50% NYCO ripstop but still thin, light weight and ventilated to keep the body cool. Fitted for the high israeli temperatures. The uniform is officially verified by the minestry of defence in israel. Loose and comfortable cut for maximum range of motion. The main material is abrasion resistamt and made of 50/50 NYCO ripstop. The material is adjusted for the israeli hot weather conditions. The pants closes on velcro and YKK zipper fly. Inner apartment for d30 knee pads. YKK zipperopening with coolmax mesh fabric at the outer side of the knee for ventilation. The buttocks and the knee are is double layered for more abrasion resistans. Additional cloth in the groin with triangle sewing to prevent tearing. Side pockets on a zipper and with extra cloth cover to prevent dirt from entering the zipper and pocket. The bottom of the pants is adjustable with a built-in cord. Sizes available S-30 M-32 L-34 XL -36. 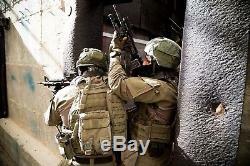 The item "Israeli Special Forces Tactical Combat pant Uniform original IDF pants by Keela" is in sale since Thursday, February 15, 2018. 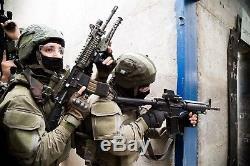 This item is in the category "Sporting Goods\Hunting\Tactical & Duty Gear\Tactical Clothing". The seller is "dvirzohar" and is located in MOSHAV KLAHIM.